For example, in 1985 – as part of the “Gladio” (11-21) false flag operations – snipers attacked and shot shoppers in supermarkets randomly in Brabant county, Belgium killing twenty-eight and leaving many wounded. Additionally, shooting both sides is a tip off that it may be a false flag. 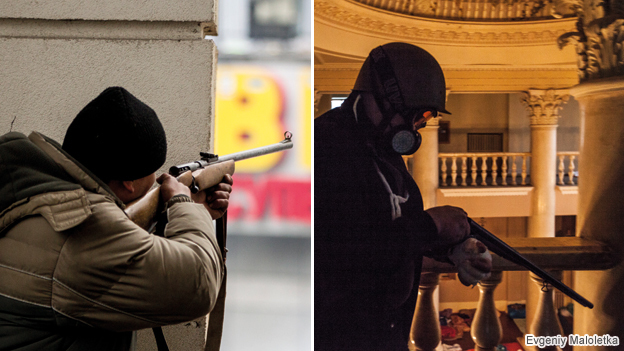 Specifically, when authoritarian regimes want to break up protests, they might shoot protesters. Likewise, when violent protesters shoot government employees, they might be trying to overthrow the government. But when secretive snipers kill both protesters and the police, it is an indication of a “false flag” attacks meant to sow chaos, anger, disgust and a lack of legitimacy. This happened during the Maidan protests which resulted in the overthrow of the Ukrainian government, as well. Indeed, the ruthless slaughter of people by snipers was the event which turned world opinion against the then-current Ukrainian Prime Minister, and resulted in him having to flee the country. So both the chief of the government’s security forces and the head of the opposition’s security forces said that the same snipers were killing both protesters and police. While they disagree about who the snipers were, they both agree that the snipers were attempting to sow chaos. 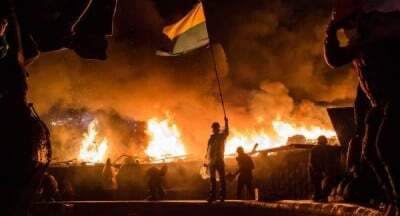 [Current Ukrainian Health Minister Oleh] Musiy, who spent more than two months organizing medical units on Maidan, said that on Feb. 20 roughly 40 civilians and protesters were brought with fatal bullet wounds to the makeshift hospital set up near the square. But he said medics also treated three police officers whose wounds were identical. Was It Maidan Who Fired? While the American media has proclaimed that the sniper fire was definitely from government forces, some of the above-cited sources dispute that claim. 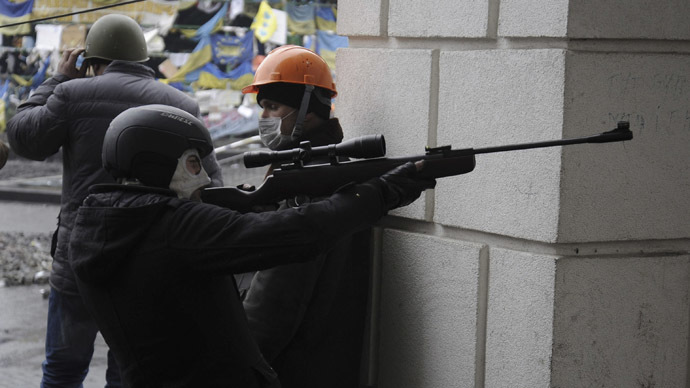 So the snipers might have been Maidan opposition forces shooting their own. But – whoever the snipers were – the one thing that is clear is that they were shooting people from both sides as part of a “strategy of tension” to create maximum chaos. This hints that it may have been a highly-organized campaign of terror.